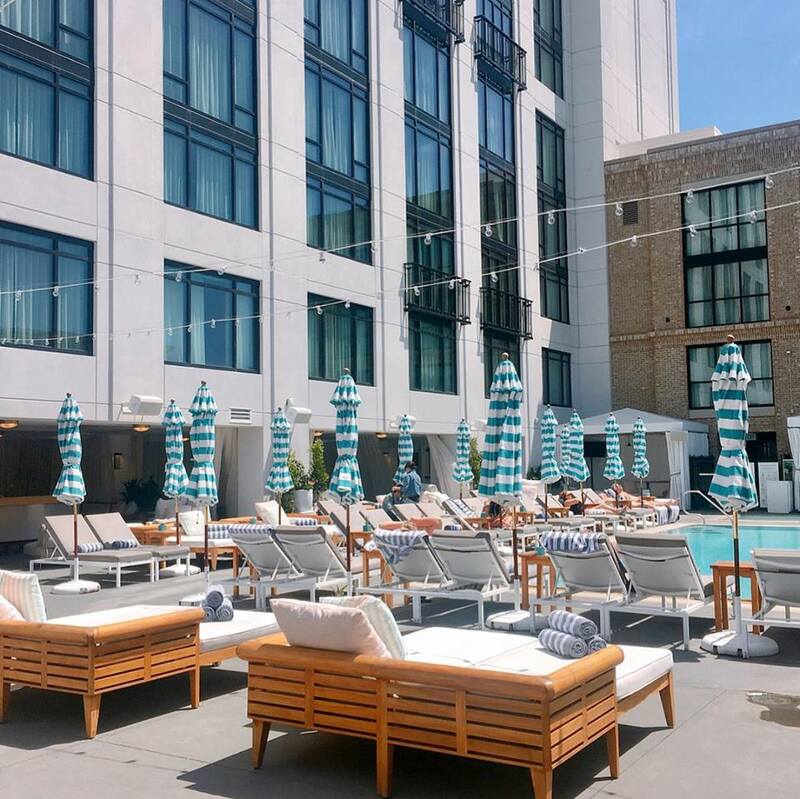 If you’ve ever visited The Pool House, then you already know it’s the ultimate poolside oasis in San Diego’s bustling Gaslamp Quarter. But there may be a thing or two–or how about five!–that you don’t know about our venue. Here, we’ll dish on 5 insider secrets that await you at The Pool House. From delicious drinks to VIP offerings and special events, here are five things that you might not know about The Pool House! 1. It’s open year round. In the fall and winter months, outdoor venues tend to shut down for the season across the country. This isn’t the case at The Pool House! While the days are definitely getting shorter, the sun still shines in San Diego. With an average year-round temperature of 72 degrees, the weather is usually always fantastic in San Diego. As such, our incredible rooftop bar is open year round, so that you can enjoy lunch (and heck, maybe a cocktail or two) at any time of the year. Our serene, gorgeous rooftop setting in the Gaslamp quarter offers unparalleled views, and is beloved by locals and visitors alike. 2. You can reserve a cabana or daybed. Who doesn’t want to feel like a VIP? The Pool House can get crowded, but that doesn’t mean you have to feel crowded. 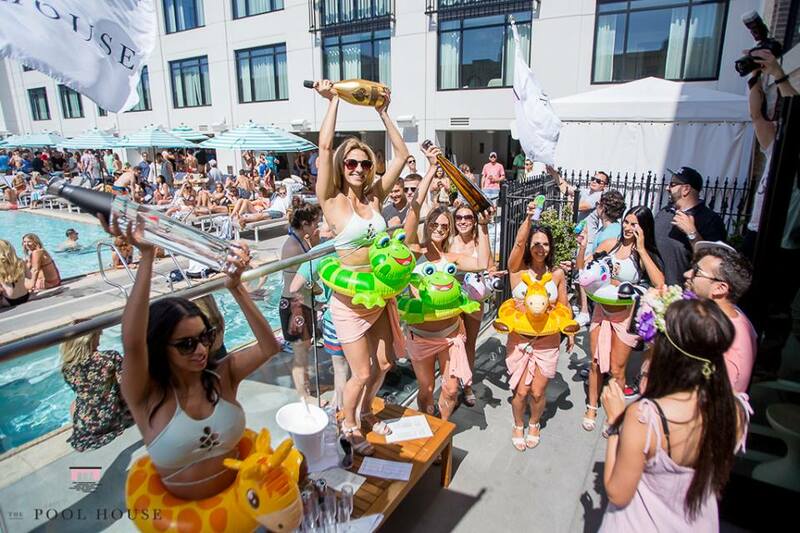 You can reserve a daybed or cabana in advance, and enjoy all of our stellar offerings in high style. This is one of the best ways to enjoy The Pool House. By making a reservation, you can claim a prime time spot by the pool which will be ready and waiting when you arrive. Oh, and by the way, you won’t have to wait in line when you arrive! You’ll be whisked right to your reserved spot, with entry to the venue included in the reservation price. For an added bonus, as part of your reservation, you’ll be treated to private waitstaff, bussing service, and security. 3. We really have a thing for Mules. Don’t worry, we’re not getting all strange with you. When we say we have a thing for Mules, we mean creative variations on the classic Moscow Mule Cocktail! Golden Goose: Tastes like liquid sunshine! This cocktail is made with Grey Goose Vodka, St. Germain Elderflower, lime, and ginger beer. Sun-Ray: This simple yet addictive version of the Mule is made with Tanqueray Dry Gin, lime, and ginger beer. Blackbeard’s Delight: Arrrr you gonna try it or what? It’s made with Maker’s Mark Bourbon, blackberry, lemon, mint, and ginger beer. Off To the Races: You’ll be hot to trot for this baby, which is made with Basil Hayden’s Bourbon Whiskey, grapefruit, fresh lemon, and ginger beer. 4. We have healthy food options. When you think of a rooftop bar, you probably think of creamy and frozen drink concoctions, exotic cocktails, chilled white wine, or maybe an icy beer. But our food is just as special as our drink offerings! While many bars have lackluster food offerings, at The Pool House, we take our cuisine very seriously. You won’t just find high fat, low nutrition offerings here. We’ve got plenty of delicious and healthy food options to suit the San Diego lifestyle. 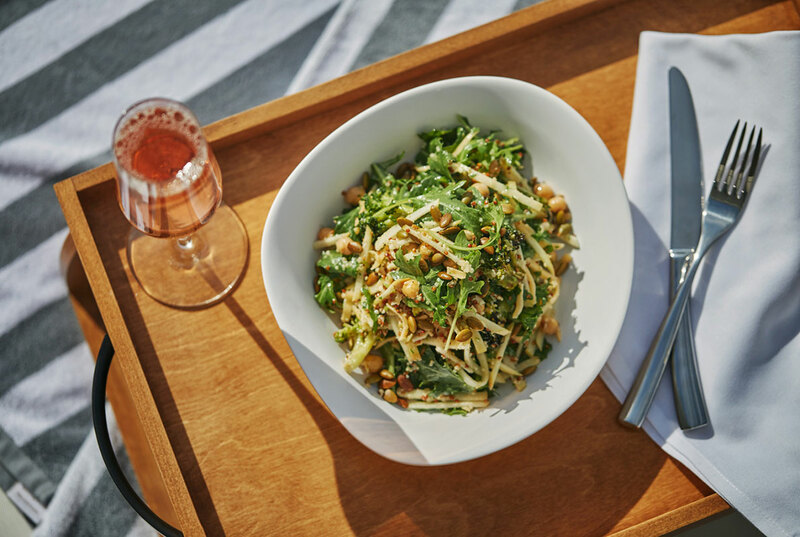 Our California cuisine style offerings include some incredible salads such as our Apple and Quinoa Salad, which is made with apple slices and quinoa with chickpeas, gouda, and roasted pumpkin seeds. We also have an impressive gluten free menu section, which features items like Coconut Ceviche, Chips and Guacamole, and much more. If you’re trying to stay fit and healthy, The Pool House can help you stay on track! 5. You can book a last hurrah package! Are you getting hitched? The Pool House is the perfect spot to enjoy one last fling before the ring! While The Pool House is a popular spot for partying with the crowd, you might not know that it’s a perfect spot for your private party, too. The Pool House is an ideal location for Last Hurrah celebrations. For one thing, it’s located in San Diego, and who wouldn’t want to celebrate in such a cosmopolitan, beautiful, year-round-warm-weather kind of place? For another, The Pool House has so much more to offer than just the pool! 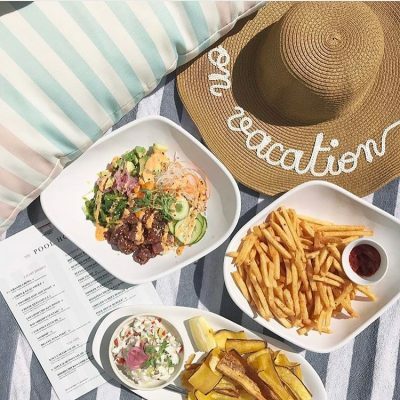 Its location in The Pendry San Diego means that in addition to enjoying poolside relaxation, you’ll have close proximity to other vibrant restaurants and clubs including Oxford Social Club and Lionfish Modern Coastal Cuisine. It’s really the ideal setting for a few days of indulgence and fun with friends! Conclusion: Now that you’re educated on all that The Pool House has to offer, what are you waiting for? 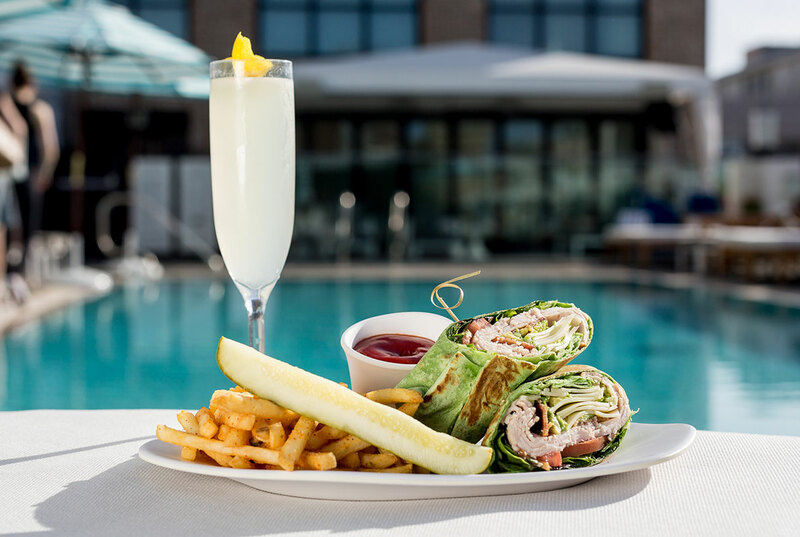 Whether you’re looking for an afternoon getaway, a Las Hurrah destination, or a great place to score a creative cocktail, The Pool House has you covered! What’s your favorite offering at The Pool House?